Four kinds of textures, three kinds of patterns, two kinds of stripes... all tied together with one shade of color. Mixing and matching is fun and spontaneous but I always make sure to pull the whole look together somehow. 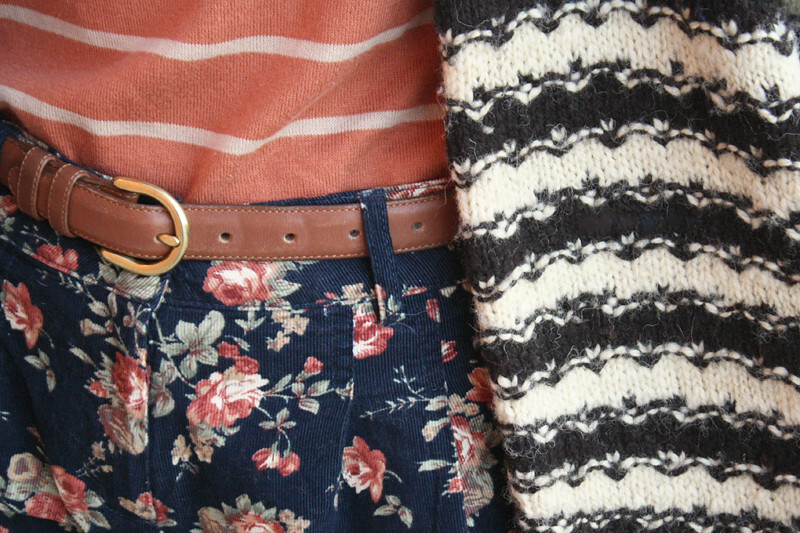 There are lots going on here, contrasting stripes and floral with a mix of knit, corduroy, leather and suede. I pieced all those elements together with different shades of burnt orange flowing through the entire outfit from head (lips, in this case) to toes. What do you think? Too much or just the perfect amount? PS. In case you missed my last post, don't forget to enter my giveaway for a chance to win $50 to Haute1.com! Vintage wool handknit stripes sweater c/o Kickass Vintage. Stripes knit top from F21. Floral corduroy shorts by Calender by Be Cool. Thrifted vintage leather bucket bag. 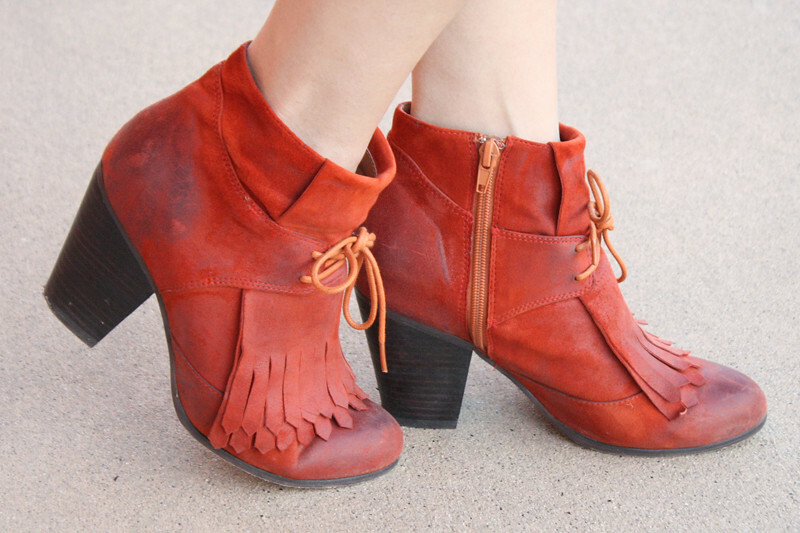 Pony Up by Jeffrey Campbell from ShopAkira. I think you mixed everything perfectly. I love your lip color too! Love your striped sweater and your hair is so pretty!! You wear the best shoes! and I love your jacket! 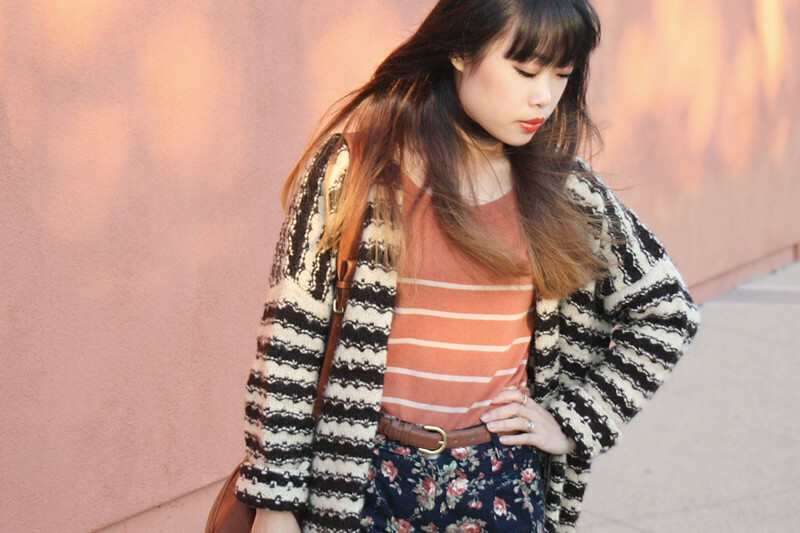 Love all the pattern mixing! 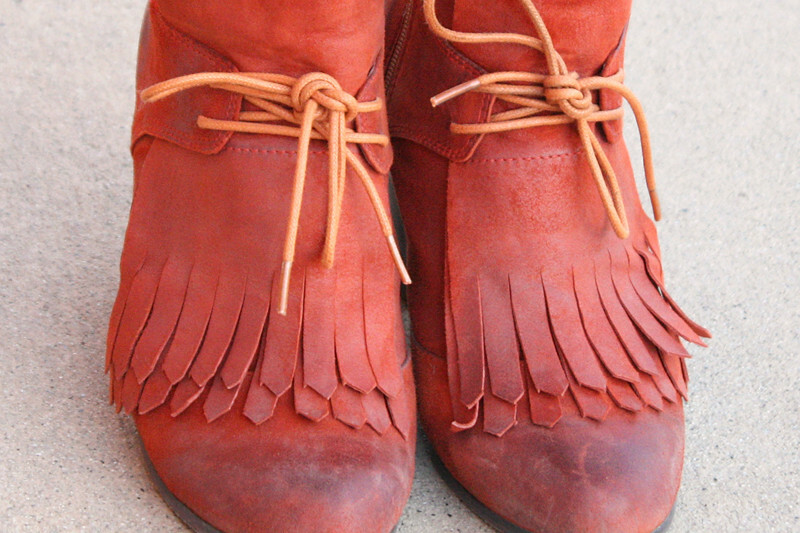 Those shoes are TOO cute!